show us your Rocky Mountains! Post subject: show us your Rocky Mountains! I know there are a few RM lovers out there. And I want to see the eye candy to drool over! cheers from a fellow Canuck RetroBiker! if you don't mind me asking, why is that? I cannot post mine, it's got modern stuff on the Altitude and the Fusion is still in pieces with M900 XTR hanging off it May push the build through on that over the week. OK, some pics of mine. Still got a 91 Altitude frame thats a bit worst for wear, and a 95 Blizzard awaiting treatment. A 2001 Vertex Sc is built for general riding, was a SS. A 2004 Blizzard is modern ride. lovely! keep them coming boys! My old Rocky Mountain Experience. 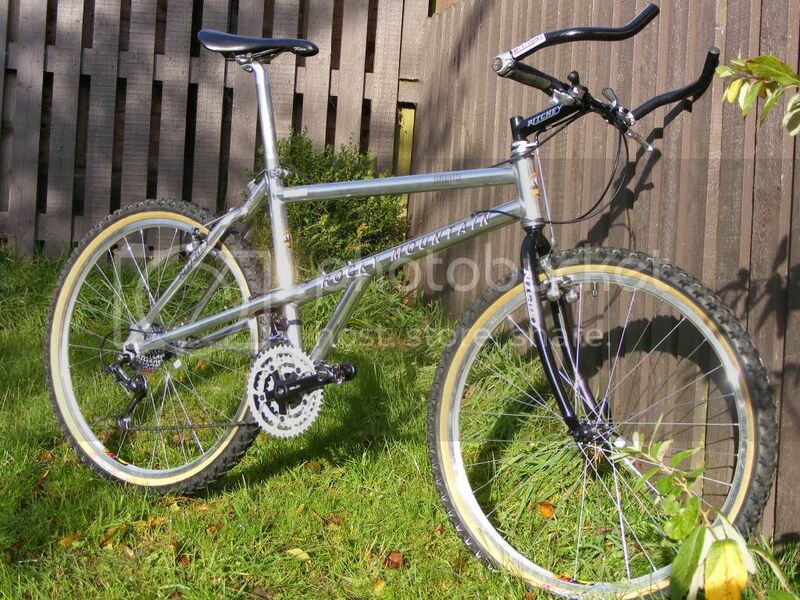 Spent a considerable amount of elbow grease restoring it, only to sell it off before I even got a chance to ride it. Bought my Raleigh Dyna-Tech with the profits, so turned out well in the end.